It is part of Liverpool’s history; there was once a salt refinery there. The remains of this are visible on the shore - some stonework and a sandstone jetty can still be seen. The footpaths along the foreshore are part of the Transpennine trail and the area is very popular with walkers, cyclists, naturalists and bird watchers. 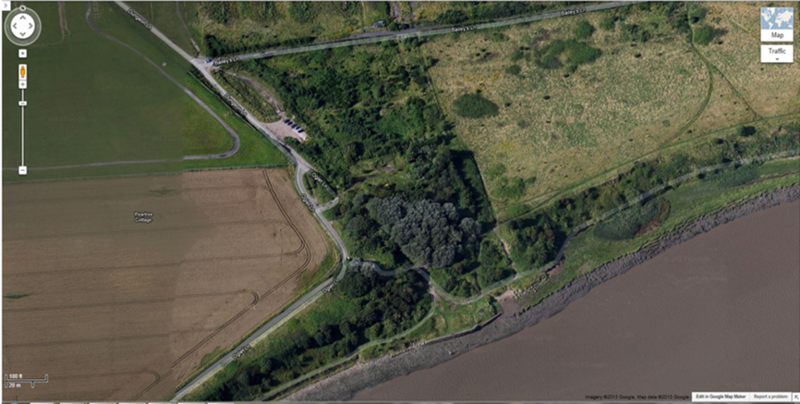 The Mersey estuary along here is designated as a Site of Special Scientific Interest because the intertidal flats and saltmarshes that provide feeding and roosting sites for large populations of water birds. The stone pyramids on the shore were placed there to hinder the access of potential invading forces during World War 2. The area used to be very popular with families who would come for a day out on the beach. Paul McCartney, his brother Mike and George Harrison once lived in Speke. Paul and Mike would often visit the Oglet on their bikes and George played in the fields there when he was a boy. These days the route to the shore at the bottom of Dungeon Lane is a poor state of repair and there are drainage issues that over the years have caused damage to the shore line. There are also problems with 4x4 vehicles that are badly damaging the pathways. 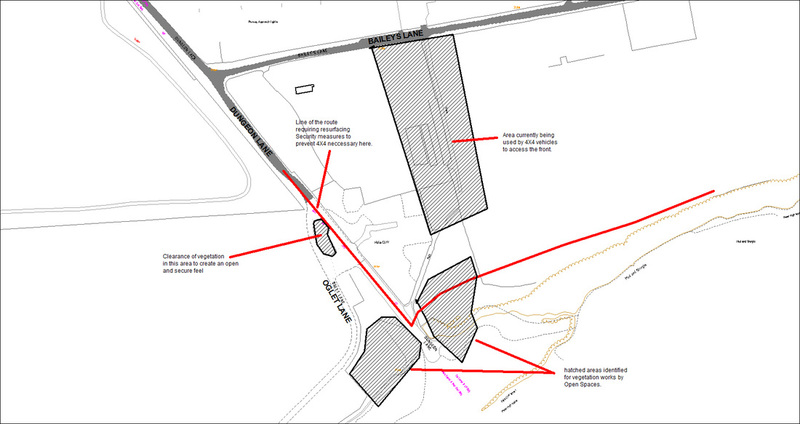 Plan of the proposed scheme of works.